Higher visibility. Stronger impact. Better message retention. Big prints just get better overall results. 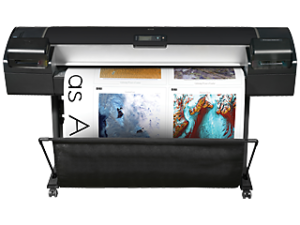 Having a Canon ImagePROGRAF large-format printer can be an enormous advantage for businesses of all sizes and types – contractors, designers, architectural firms, engineering firms, financial institutions, government offices, and even schools. Canon printers offer state-of-the-art large-format color graphics printing solutions designed with power, speed, flexibility and quality. For specifications on Canon ImagePROGRAF printers, click here or call a CDR sales associate for help in choosing the best machine for your business needs. Clayton Digital Reprographics is the area’s only Gold Designjet Specialist Partner, recognized by HP for our high standards of expertise in HP Designjet solutions. Whatever your needs – copiers, printers, or scanners – CDR can help with your wide-format digital printing solutionst. 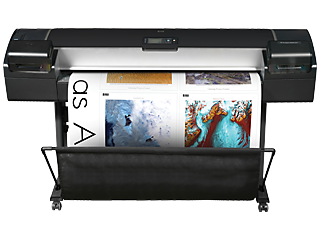 HP offers high-quality, large format color printing for technical and business customers who need illustrations, schematics, drawings plans or presentations. 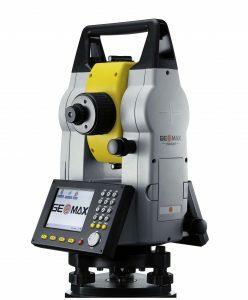 These products are reliable, designed for ease-of-use, and requiring minimal intervention during operation. The CDR advantage is in our service. We have an on-staff service and support team to ensure the successful installation of your new machine with minimal hassle to you. We set up and test each machine in our shop to ensure it is in top working order before we deliver it to you, with no extra freight charges. Our media and toner supply warehouse is also available to offer you the highest quality products to keep your projects running. Contact a CDR sales associate today to determine the best wide-format printer for your needs. For higher volume in-house printing needs, a KIP wide format multifunction system is an excellent addition to your office. 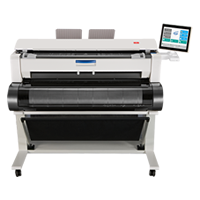 From the KIP 770 with its compact and intuitive printing and scanning capabilities to the KIP 9900 for high demand technical printing needs, the Clayton Digital Reprographics sales team can find the right wide format printer to suit your needs. For information on current KIP machines, please see below or click here. CDR carries a full line of GeoMax survey supplies and instruments for the construction and engineering community.